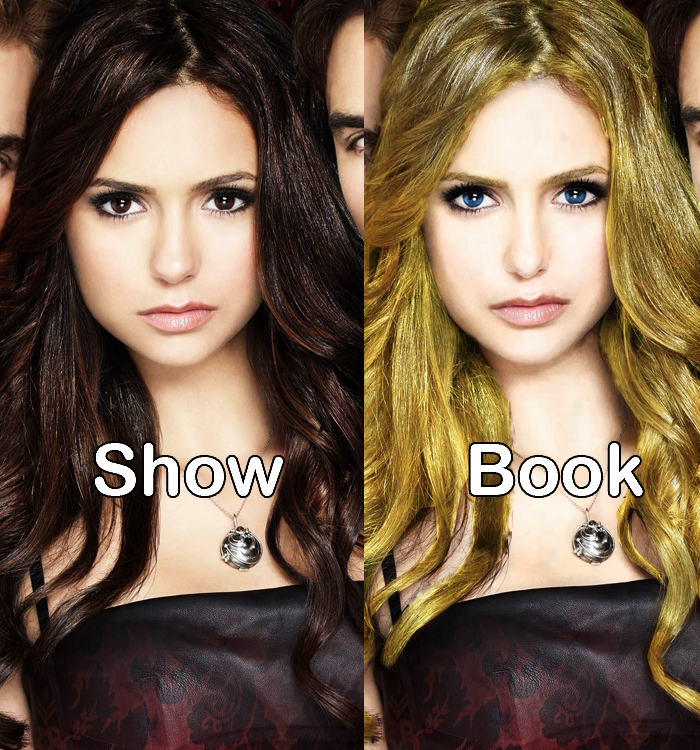 Book vs onyesha. . HD Wallpaper and background images in the Maonyesho ya Televisheni ya Vampire Diaries club. This Maonyesho ya Televisheni ya Vampire Diaries fan art contains picha, headshot, and closeup. There might also be kuvutia, rufaa, hotness, and mvuto.